Daymond John is the quintessential entrepreneur. 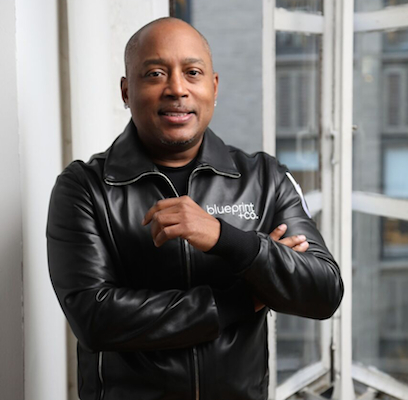 Most widely known for his role on ABC TV’s “Shark Tank,” he put himself on the map in the business world with the creation of FUBU, the Hip Hop-inspired fashion brand that he started with a $40 investment and is now a $6 billion enterprise. John’s record of accomplishment — he is also a sought-after consultant, motivational speaker and author — makes other executives take note when he shares his ideas. John has much to say about consumer products, brand building and retailing, but his current focal point is personal health and the need for businesspeople to take better care of themselves. That message was borne of personal experience. It was discovered that John had thyroid cancer after a friend suggested that he undergo a rigorous executive physical at UCLA Health. After the cancerous portion of the thyroid gland was removed during surgery that lasted three hours, the 48-year-old John is, in his words, fine and happy, but the health scare gave him a new sense of mission. Diagnosed in March, John indicates that it took some time before he was sure he wanted to share his story. “At first I didn’t want to go public about it, because I didn’t want anyone to think that I’m dying, which I’m not,” he says. “I realized how important it is to share with people about the value of colonoscopies, mammograms, pap smears, endoscopies and other tests. John, who is now further strengthening FUBU through the launch of a mobile app and collaboration with other brands, has equally compelling insights about the current state of the retail market. Traditional merchants, he asserts, have to change quickly or wither away. “From the retail perspective, when you’re getting people into the stores, you now have to create a lifestyle or there’s absolutely no reason for them to be there,” he says. “I like the concept of what Macy’s is doing with its flagship store in Manhattan. The idea is to turn that store — which is one of the most globally recognized, iconic retail spaces — into the Disneyland of retailing. If you can do that, together with a lot of live streaming and other things that cause stickiness, you can pull off what you want to do. While acknowledging the impact of e-commerce in general and Amazon.com in particular, John asserts that for consumer packaged goods makers, many of the hurdles they face are the same as ever. On a more reassuring note for those involved in community pharmacy, John believes those retailers will have more staying power than many others. Even if pharmacy operators prove unusually resilient, it is clear that the pace of change in the consumer market will continue to accelerate, and that members of the trade class must adopt the entrepreneurial spirit that John embodies if they want to secure as important a role in the future as they have today.